We are working with the children of the wonderful Les Enfants De Dieu street children’s centre to develop their hip hop dance skills. Les Enfants de Dieu’s mission is to effect a transformation in lives of Rwandan street children by alleviating their hardships and providing them with opportunities to mature into valued and respected individuals that can be reintegrated into and contribute to society. The centre houses around 130 boys between the ages of 6 and 18 in Ndera, a suburb of Kigali. If children are willing to leave the streets, the centre first provides them with food, shelter and basic health care. Secondly, they begin a rehabilitation process that focuses on mind, body and spirit. The children have access to health care, education, sport, vocational training, and counselling. The goal is to reintegrate each child into society. Les Enfants de Dieu is child-centred, meaning that a lot of responsibility is given to the children to manage the project. The children organise elections each year to nominate leaders among themselves. They elect seven ministers to deal with various aspects of life at the centre, including administration, education, health, sport and culture. The children who live at Les Enfants have had tough lives, suffering neglect and abuse. A number have AIDS. But they are a remarkable group of boys – intelligent, resourceful and resilient. They love to dance and express themselves physically. The boys’ greatest wish has been to learn hip hop dance from experienced teachers. Catalyst Rwanda is taking pioneers of UK hip hop to work with the boys, and to develop the technique and teaching skills of local dance artists who are already ‘breaking’. In November 2011, UK breaking pioneer Pervez ran a 10-day series of workshops with the children and young people at Les Enfants, assisted by Bret Downroc Syfert and Kate Scanlan. 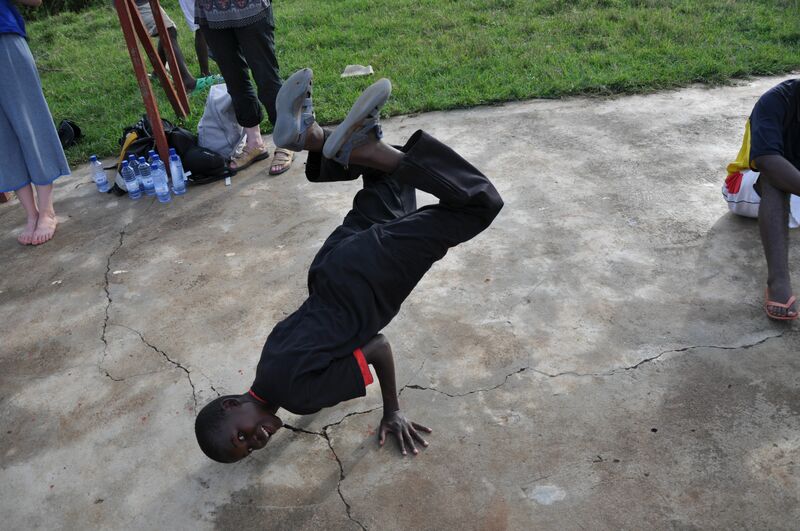 He also ran masterclasses for young aspiring breakers in partnership with Ishyo Arts Centre. 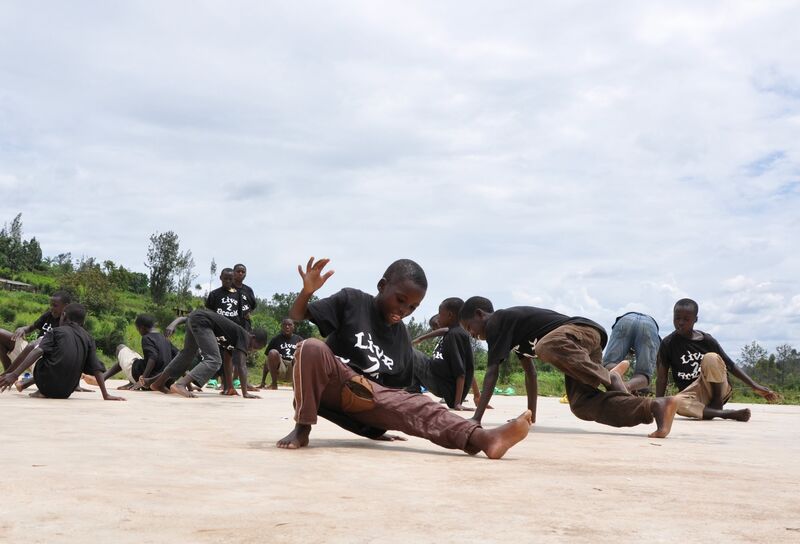 These breakdancers will continue to work with the boys at Les Enfants de Dieu to continue to develop their skills. This is a project that Catalyst Rwanda, Les Enfants de Dieu and the Ishyo Arts Centre plan to grow and develop, with professional artists from the UK coming in each year to inject new learning and skills development. Pervez is one of the leading exponents of hip hop dance in the UK. Pervez has 30 years of experience as a B Boy. Starting to break in 1982, he was one of the London pioneers when Hip Hop first hit the UK. A member of Live 2 Break crew, one of London’s top old school London crews, he is globally respected as a dancer and teacher. Hip hop is a culture based on the exchange of energy, on skill, on having fun and expressing your individual personality through your dance, words, music, or artwork, and on sharing your skills with others. Please help us to make this project continue! 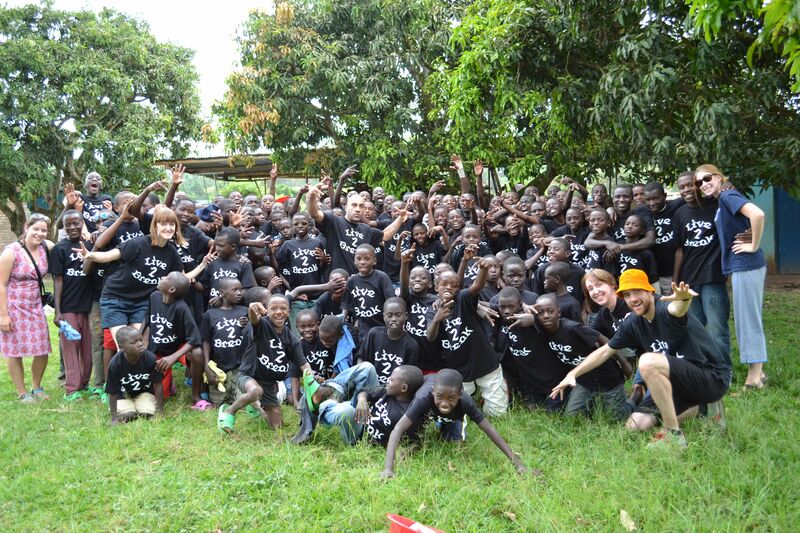 The team’s visit to Kigali has given the former street children at Les Enfants de Dieu the basic breaking moves and resources – music and films – to enable them to continue to develop their skills. We now need to raise more funds, firstly to enable regular training sessions for the boys until our return, and secondly to enable the team to return in 2012. 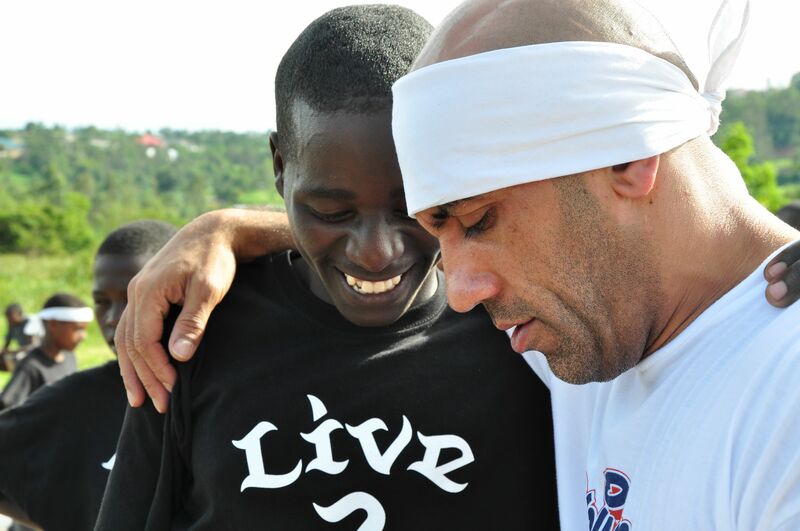 Until we go back, the boys will work with the more experienced Rwandan breakers, whom Pervez trained at Ishyo. There will be incentives for the boys to continue to improve their breaking in the form of a monthly breaking competition at the centre, judged by the boys themselves. The centre itself is also struggling to find enough funds to continue its truly amazing work rehabilitating and reintegrating these young people in 2012. You can donate securely using the donate button below or in the side bar. We’ll keep you informed as the project evolves. You can make a great difference and inject some fun, inspiration and hope into the lives of 130 incredibly deserving children. Thanks so much!